→Torpedo Gunnar Glasses Review: Is This Gaming Glasses Worth It? In this Torpedo Gunnar Glasses review, we will learn how the lenses function, price range, and the important features to look out for when going for a pair of the glasses. We will also go through a few tips that will help you handle a pair correctly. Always go for a pair of computer glasses that can block at least 50% of blue light. Also, ensure that you go through the features of the lenses before making any payments if you want to get the right pair at the end of the day. These glasses have a black plastic frame that makes them very light in weight. With a pair of the glasses, you will get a chance to enjoy playing your favorite games for long hours without experiencing any form of pressure on your face. The fact that Torpedo glasses have long temples makes them fit all head sizes. The wraparound design will give you a panoramic viewing experience. The low profile temples also enable the wearer to use their headphones comfortably. The frame of these glasses also has flexible hinges making it easier for you to adjust them to a perfect fit. The half-rim frame minimizes visual distractions enabling the wearer to work with a lot of comforts. These glasses have plastic lenses with an amber tint that blocks away 60% of the harmful blue light from reaching your eyes. The tint protects your eyes from suffering from pain, irritation, blurriness, redness and other blue light related problems. The lenses also have an anti-UV coating that reflects away the harmful UV rays of the sun. You will thus near suffer from severe headaches or insomnia. Even after hours of working in front of your computer, you’ll still sleep peacefully like a baby. Even though the lenses come with a slight amber tint, you’ll still see the contents on your computer without distortions. The lenses will heighten your focus and visual endurance at all times. These glasses come without accessories meaning that you’ll have to purchase a hard case and a cleaning cloth. The hard case will enable you to store the glasses safely at all times while the cleaning cloth will keep the lenses safe from getting scratches. Torpedo Gunnar Glasses will keep your eyes safe by protecting them from long-term as well as short term eye damage. A pair of the lenses will keep your eyes safe from age-related macular degeneration, occasional headaches, cataracts and most importantly, from permanent vision loss. With these glasses, you’ll have a lot of comforts and thus get to work for long hours. Working for long hours means an increase in productivity. With increased productivity, you’ll get more positive results, improvement in your school grades and good relations with your boss. Most computer and gaming glasses make the wearer look funny and silly at the same time. The good thing about Torpedo glasses is that they come in a stylish design and you’ll thus look great in them. You won’t have to worry about your look at all. Torpedo Gunnar Glasses come at a higher price and thus won’t work for you if working on a very tight budget. The good thing, however, is that a pair of the lenses will make your digital life better. You will have all the fun you want with any smart device without putting the health of your eyes at risk. Ensure that you purchase a hard case for the glasses for safe storage. The hard shell will protect your lenses at all times and also make it easier for you to carry them when traveling. Get a microfiber cleaning cloth from a local store for cleaning your lenses. Rough clothes and pieces of paper will only get your glasses scratches. Never use chemicals, hot water or alcohol to clean your glasses if you don’t want to damage the lenses. When using the glasses for the first time, everything will appear yellowish at the beginning. Do not give up on the lenses since you’ll get used to them within no time. Avoid leaving your glasses exposed to sunlight or places with poor ventilation for a long time. Always store the glasses in a locked drawer. At no time should leave them on top of your working desk. Keep them far from the reach of kids if you want to use them for a long time. Torpedo Gunnar Glasses will not only keep your eyes safe from the harmful blue light but also enable you to enjoy gaming for long hours. With a pair of the glasses, you’ll never suffer from eye strain, glare, irritations or any other eye problem related to blue light and UV rays. Should you decide to get a pair of Torpedo Gunnar glasses, you’ll have made the best decision ever. 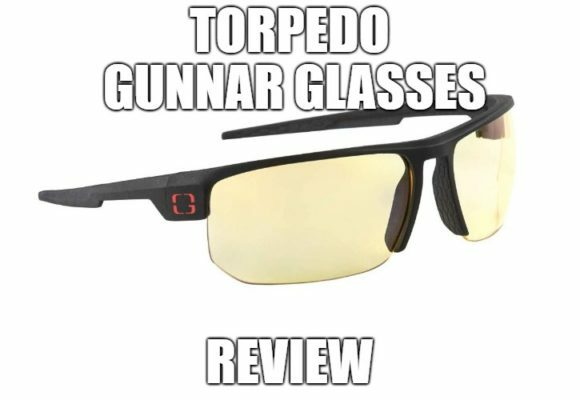 Click Here If You Want to Learn More About Torpedo Gunnar Glasses. If you have more questions and concerns about this computer glasses, feel free to comment it below. 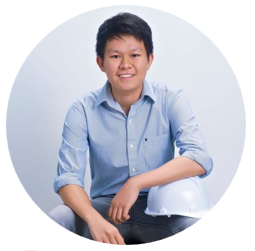 I would be also happy to hear some experiences about the quality and performance of this product in preventing eye strain and blocking blue light.